If you’re thinking about pursuing a career as a locksmith, it’s well worth doing your research beforehand. There are a few things to consider, including how to kickstart your career with the different training options available, as well which route to take further down the line. That being said, once you’re satisfied that a you’ll be happy working as a locksmith, you can expect a rather successful career, wherever it takes you. We’ve provided plenty of information here, on what it takes to become a professional locksmith, as well as additional things to consider for the future to be able to make the most of your new career. How much can a locksmith earn? What does it take to be a good locksmith? What training do you need to become a locksmith? Is there a nationally recognised qualification available? The amount that a locksmith can expect to earn depends on how long you have been working as a locksmith, and where you work. The starter salary is around the £16k mark and this can rise to as much as £30k as you become more experienced over time. But there’s potential for much more, as our recent course video testimonials show, there’s huge opportunity to earn a rewarding salary when starting to trade as a locksmith. Click here to see how one of our past students Mehmet had a turn over of over £60,000 in his first year. He has even to employ a further 2 people which he’s put through the MPL courses in order to manage his workload. WHAT KIND OF HOURS WILL YOU WORK? The majority of locksmiths will work a 40 hour week, this can be spread over evenings and weekends. This is because a locksmith will offer a 24 hour service, and you will need to be able to respond to the requirements of your customers. You may find that you are based in a shop or office, however, there will be requirements to travel on site and fix locks at the customer’s premises. You will also need to be comfortable working outside in all weather. Once you are a fully trained locksmith then there are a variety of different paths that you can take with your career. You could choose to work for a national company, set up a franchise of a network of locksmiths, or become self-employed and work for yourself. The choices really are yours. Being a locksmith is an incredibly rewarding career, not only is it highly skilled, but it allows you to help customers when they need you most. So why not find out more about how you can train to be a locksmith? You’ve probably heard the term, a dying trade, which is used to describe many practical jobs that don’t really hold much potential as the UK changes and develops. Locksmithing is a role that couldn’t be further from a dying trade, with increasing numbers of individuals and businesses requiring the skills of a Locksmith year after year. Firstly, there’s the domestic market, with many homeowners needing the help of a Locksmith after moving to a new home, losing their keys or falling victim to a burglary. There’s also the growing buy to let market, in which landlords require a change in locks each time they take on a tenant. There’s also the opportunity to specialise in specific areas of locksmithing such as uPVC repair and maintenance, or high security upgrades. Secondly, there’s the commercial market. There are numerous numbers of office spaces being built in developing cities, along with shops and hotels being introduced on a regular basis. These are just a few of the commercial spaces and businesses looking for the skills of a Locksmith, to ensure they are secure enough for business to be carried out there. It’s this constant stream of demand that allows the Locksmithing trade to continue growing, with more and more professionals needed to join the industry every year to cater to this demand. Wherever you’re situated within the UK, there’s no doubt that a Locksmith will be required nearby, and for many different reasons. You could live closeby to somewhere with a high crime rate, where a large number of burglaries or vandalism takes place. This could be quite off-putting for many people, however, as strange as it sounds, it opens up a lot of opportunity for a Locksmith. On the other hand, you might be close to a developing area, with plenty of hotels, new-build apartments and commercial spaces being built. As the area grows, so too does your opportunity as a local Locksmith. Wherever you may be in the UK, there’s always going to be some demand for a Locksmith. Top Tip: If you’re thinking about setting up your own Locksmithing business, it’s well worth carrying out some research into your local area and the surrounding areas, to see how many similar businesses are already operating nearby and the way in which they are advertising their businesses. 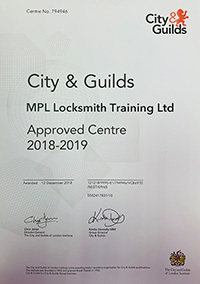 MPL offer a 5 day locksmith training course to give you all of the necessary base skills and knowledge that you need to begin trading as a locksmith – although as you can imagine, this is just the start; there’s still a lot of learning to be done out on the job to really enhance and refine your skills. 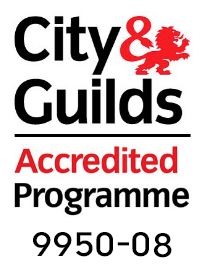 We also offer further progression courses such as our auto locksmith training course, or our access control course to further your knowledge. This means you can start to earn some money from the very beginning, so you don’t have to worry about falling behind with any essential outgoings you might have. The Locksmithing trade has so much to offer in terms of skills, salary and potential, and there couldn’t be a better time to think about starting your career as a Locksmith than in 2018. If you are thinking about becoming a locksmith then there are few skills that you should have, or at least be aware that you need to improve on. If you have these skills, then you are already best placed to become a locksmith. Whilst the self employed route can be extremely lucrative, as with any new business it’s important that you’re prepared to be aggressive with your marketing and hunt for work when you first start out. 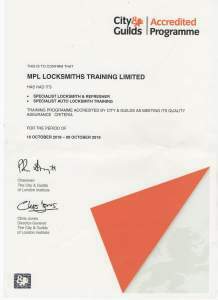 Here at MPL we cover a wide range of marketing topics on our locksmith courses in order to give you the best possible start. Unlike a number of other careers, there are some costs associated with working as a locksmith, which is a rather important consideration before choosing whether or not to pursue this career. Firstly, there’s the cost of training and learning the skills to carry out your day to day jobs. This is a one-off cost, but you may need to pay for another training programme if you choose to become more specialise further on down the line. Then there’s the cost of your tools and stock, from locks, hinges and handles, to lock picks, screwdrivers and chisels, to name a few. These form the base of your job and, without then, it’s impossible to be able to work as a locksmith. Make sure you have the financial backing to invest in the appropriate tools and stock before investing in training. Having access to a vehicle is an imperative part of any successful locksmith’s job, so make sure you will be able to provide this for your own benefit. You may also want to consider marketing or advertising, especially as a self-employed locksmith, which will help to promote your business and get your name out there. These promotional tactics can be costly at first, but the return on investment may well outgrow the cost. Starting your own business as a locksmith can provide plenty of work and a well-earned salary year after year. Although it takes a lot more time and effort to succeed in, it’s well worth the investment once your business is successfully up and running. Is there a specific locksmithing niche in your area that hasn’t been exploited? For example, are crime rates high or is there a lot of development occurring in the region? Whilst there is a constant demand for locksmiths in all areas of the country to service the repair market, there can be great opportunities in further specialism such as auto or safe locksmith services. Will you cover a certain aspect of locksmithing or will you want to offer a variety of different services? With additional training, you could see yourself working on safes, car security and electronic key card locks, for example. Are you willing to offer a 24-hour service or would you rather limit yourself to more sociable hours? 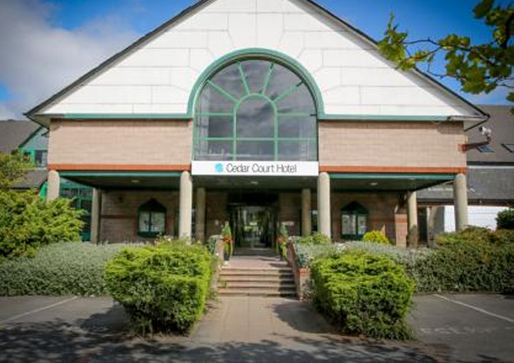 Bear in mind that you may have a few competitors in your local area who offer a 24-hour service. How do you plan on winning your first few customers and how will you grow your business over time? Having an in-depth plan in place will give your business a much bigger chance of succeeding than if you were to take it as it comes. We provide plenty of advice and guidance on how to market your business, as part of our locksmith training services. Last but certainly not least, it takes plenty of desire, determination and ambition to make it as a successful locksmith, along with a friendly and approachable personality. If you’ve considered all of the above and think you have what it takes to pursue a career as a helpful professional in the field, why not get in touch with us and book your spot on one of our training courses? Much like a number of other careers, locksmiths are often trained with a combination of classroom learning and on the job experience. It is this combination of training and hands on practice that allows a locksmith to learn absolutely everything they need to be a success in their career. By learning all of these key topics, a trainee locksmith can have all the required skills to be one step closer to their career of choice. 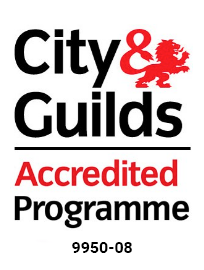 There are no legal requirements to practise as a locksmith within the UK, however getting accredited with a scheme such as City & Guilds, who only allow centres with the best training standards to offer their qualification which is recognised across the world and backed by a Royal Charter, will be helpful in showing the level of your skills to either potential employers or customers. We would absolutely recommend taking part in a training course before offering your service to potential customers, as this will help you to build a solid reputation for doing a good job.